Shehaqua Family is an independent, grassroots organization inspired by the life and ministry of Rev. and Mrs. Sun Myung Moon. What started as a weekend camping trip in 1995 by a few families has slowly grown into a three-week program for large groups of families in rustic cabins in the Pocono Mountains of Pennsylvania, held every year in late July/early August. Over time, other programs have been added for fall, winter, and spring. 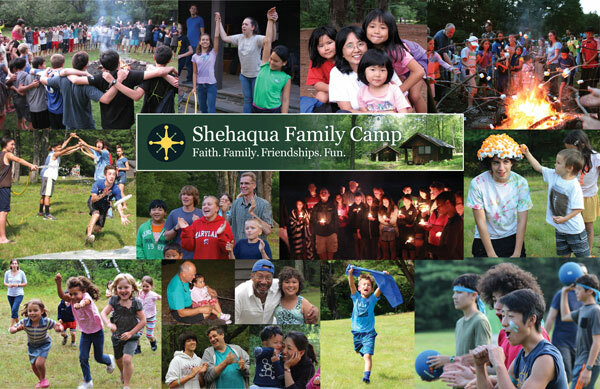 The Shehaqua Family’s biggest and oldest event is the Shehaqua Family Camp. Two or three Family Camps take place every summer in Hickory Run State Park (owned and operated by the PA Department of Conservation and Natural Resources) in northern Pennsylvania. Other events, such as the Harvest Festival, Winter Retreat, and Spring Gathering have been added over the years. 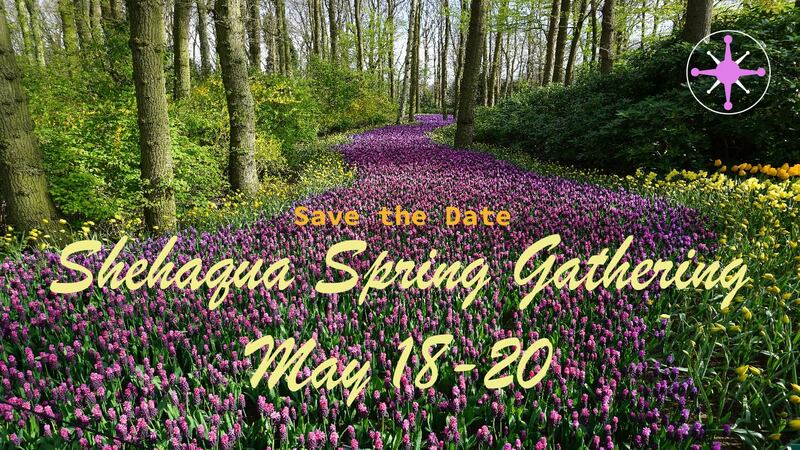 While all programs are open to the whole family, the Spring Gathering and Harvest Festival traditionally attract more young adults than families, so if you plan to bring your family, please check with the organizers if a program for young kids will be offered. For a few years the Shehaqua Family also held a Winter Retreat, but at present the program is on hold. The Shehaqua Family Camps, which are held in summer, offer families spiritually enriching activities that include presentations, nature, sports, crafts, music, and social activities. What sets the Shehaqua Family Camps apart from most other camps are programs designed for the whole family, not just children of a certain age. Shehaqua programs strengthen family ties, and all family members usually leave camp with a renewed appreciation for each other based on their shared experience of God-centered relationships and the purity of nature. We are working hard to make our other programs centered around the family, as well, but for the most family-centered experience, visit our Family Camp in summer. We invite you learn more about our programs on the pages of this website. Are you dreading the cold, school, and work, and are you wishing summer had lasted longer? Wishing you were back with your family and friends at Shehaqua family camp, enjoying the beautiful nature with God? Well, do not fret, the Harvest Festival is one more hurrah for the end of the summer, one last weekend to getaway and enjoy the warm weather! 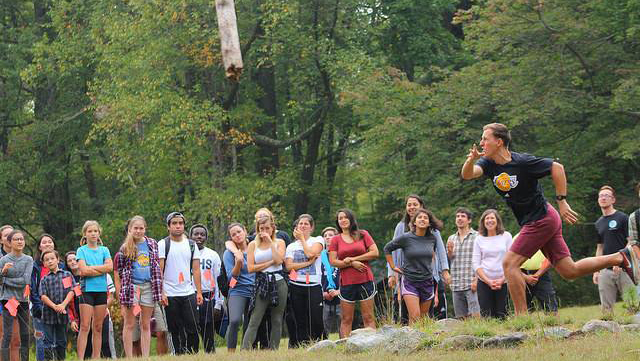 Join us September 21–23 at Camp Shehaqua. You will be dunking for apples, eating pies, throwing logs, and, of course, square dancing. We will always have activities going on but mostly it will be quite relaxed and just a enjoyable time to spend with your friends and family in a loving environment. The magical experience will begin at 7:30 p.m. Friday evening (September 21). Please eat before you arrive because we won’t be able to serve dinner. We will be concluding the weekend on Sunday at noon with lunch followed by clean up. Register NOW and take advantage of our early bird offer! The price now is $50 per person but will go up to $65 after September 10, and to $80 if you register after September 18. Visit our fee page for more information. Hope to see you at Shehaqua! Watch some Harvest Festival movies from previous years here.